A sincere love for humanity is the hallmark of Inner Visions. Inner Visions is a family of performers not only in the spiritual sense espoused by traditional roots reggae but in the literal sense – the mystical core of this group is formed by two brothers and two sons. They are a family in every sense of the word and everyone they encounter – fans on tour and those who visit their homeland of St. John, US Virgin Islands are welcomed into their family as well. Core members are Phillip “Grasshopper” Pickering (lead vocals, guitar, percussion); Alvin “Jupiter” Pickering (backing vocals, bass, percussion); Akiba “Mr. Snooze” Pickering (backing vocals, keyboards); Aswad “Hollywood” Pickering (drums). Since their debut album in 1995 (see a complete discography below), Inner Visions’ innovative and thought provoking music has evolved as their audiences have grown - critics say because of the group’s discipline, dedication and respect. Inner Visions continues to reach out to new audiences with their special roots message of love and brotherhood. 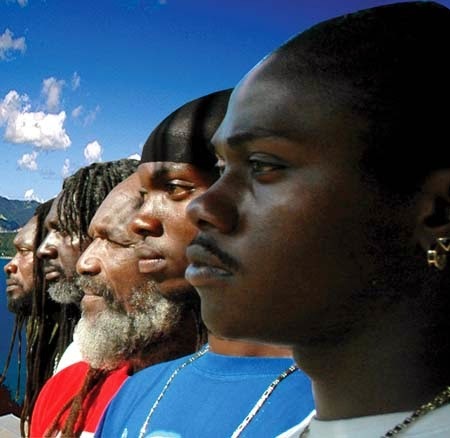 The group has performed at festivals and venues in Puerto Rico, St. Lucia, Tortola and St. Thomas, Mexico, Europe and the US at premier reggae venues and festivals including SXSW, California World Music Festival, Bethlehem Muzik Fest, Sierra Nevada World Music Festival and the Lafayette Reggae Festival. Inner Visions latest release is Stay Alive, a special message for our times. They are currently on tour in support of this release.